Everyone loves good old-fashioned spaghetti and meatballs. These meatballs have a flavor similar to my Northern Italian Stuffed Pasta Shells and our family's homemade meat ravioli (recipe coming soon). For a quick after-work meal, cook this in your slow cooker--pair it up with a nice salad and maybe some whole-grain garlic bread, and you're good to go! 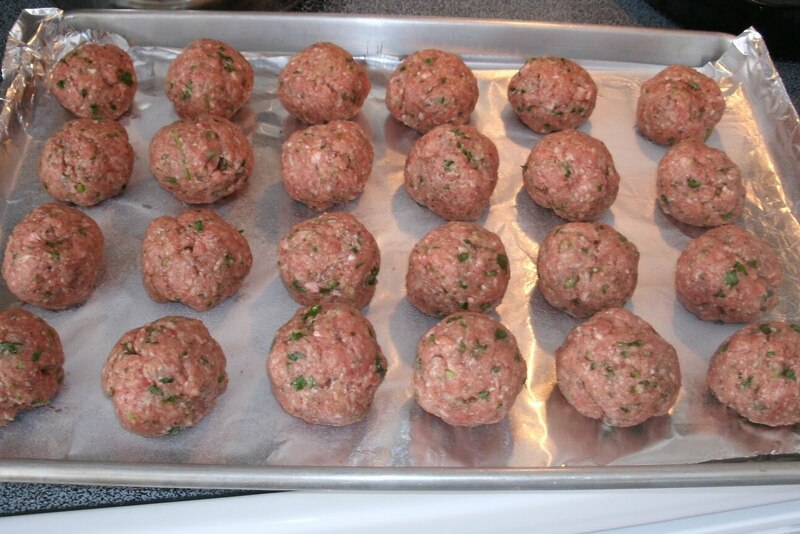 Make Meatballs: Preheat oven to 425 degrees F. Using clean hands, thoroughly mix together all the meatball ingredients in a medium bowl. 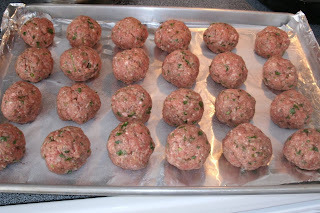 Form mixture into 24 balls and place on a foil-lined baking sheet. Bake 15 minutes until meatballs are nicely browned on the outside. Make Sauce: Into a medium mixing bowl, stir together all sauce ingredients until thoroughly incorporated. Method 1: Place browned meatballs into a 5 qt. or larger dutch oven with cover, pour the sauce over, cover and bake at 325 degrees F for 2-1/2 hours. Method 2: Place browned meatballs into a large slow cooker, pour the sauce over, cover, and cook at low setting for 6-8 hours. Prepare one pound pasta according to package directions. 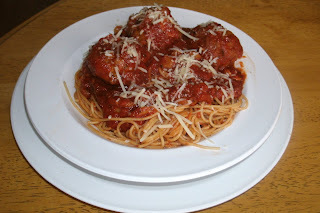 Divide pasta among 8 pasta bowls, top with a generous ladle of sauce, and 3 meatballs. Garnish with freshly-grated Parmesano Reggiano Cheese. I used Freshwater Prawns which are farm-raised (mostly in China) and imported. They are readily available year round, but you can use any variety of very large (8-12 per pound) shrimp. 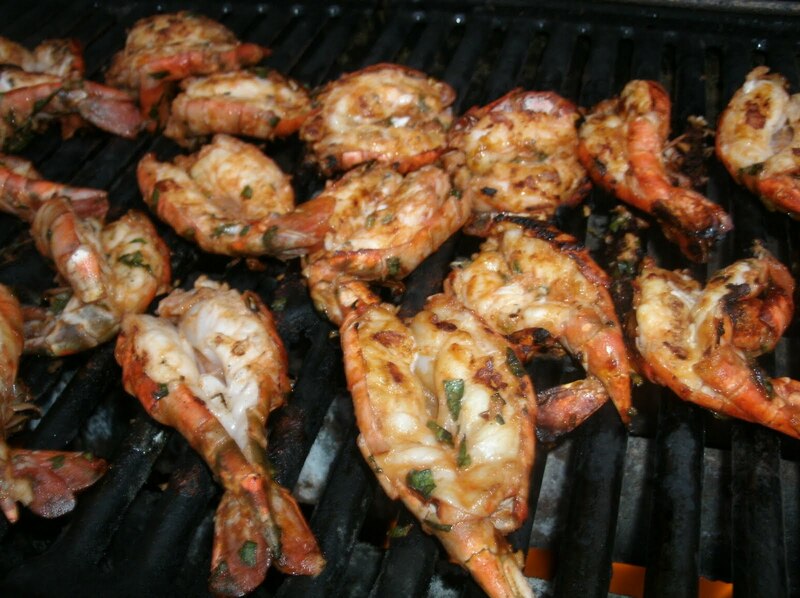 To retain their full flavor, marinate and grill the shrimp with the SHELL ON. 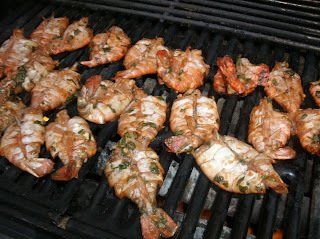 For more even cooking and to allow the marinade to better penetrate the prawns, I butterfly them as shown. We prefer these with drawn garlic butter (I use 75% lightly-salted butter to 25% extra virgin olive oil infused with 3 cloves of pressed garlic). Grilled Marinated Asparagus, recipe here and Quinoa Pilaf, recipe here. Prep Garlic Butter if using: In a small microwave-safe bowl, microwave garlic, butter, and EVOO until butter is melted. Stir and set aside to infuse until ready to serve shrimp. Rewarm at serving time. 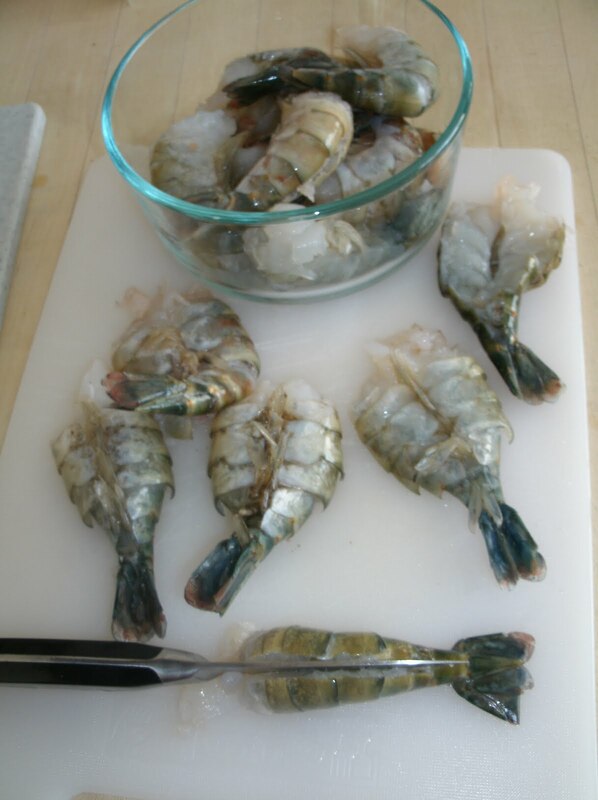 Butterfly Prawns: Using a paring knife, cut each prawn through the back about 3/4 of the way through the body. Turn the prawns over and press down as shown to create butterfly. 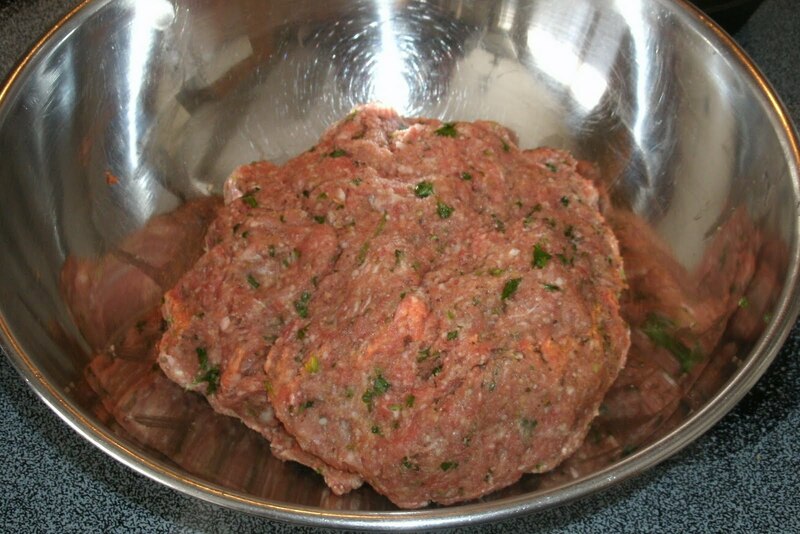 In a small bowl whisk together all marinade ingredients. Place butterflied prawns and marinade into a zip top bag and refrigerate at least 4 hours (up to 24 hours), turning bag occasionally to evenly distribute marinade. Preheat BBQ to medium-high and grill prawns flesh-side down just until the shells begin to turn orange (about 2-3 minutes). Turn prawns shell side down, and continue grilling about 1-2 more minutes just until the flesh is opaque. DO NOT OVER COOK. 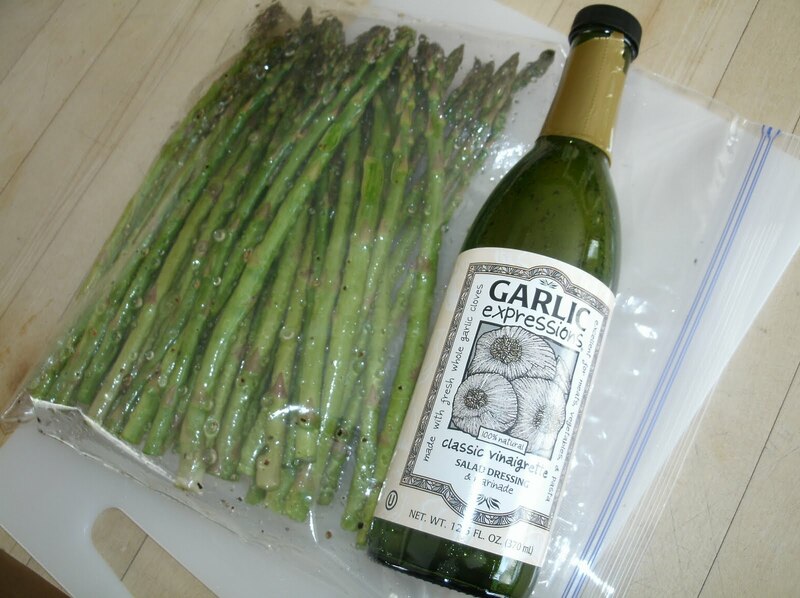 Garlic Expressions salad dressing is an easy and excellent marinade for asparagus. This particular marinade really brings out the sweetness of the asparagus. Chilled marinated asparagus are also excellent raw or in salads. Did you know that asparagus offers many health benefits? 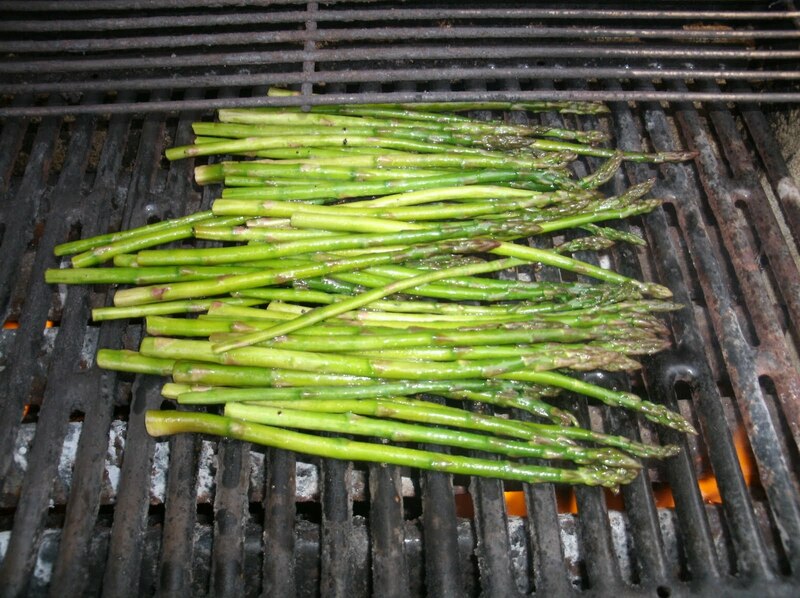 For example, asparagus is a natural diuretic and detoxifier, and is high in dietary fiber. Asparagus contains a phytochemical glutathione that has anticarcinogenic and antioxidant properties. It is an anti-inflammatory. Aspagagus is rich in vitamin B (folate) which is essential for a healthy heart heart (cardio-vascular system). Some consider asparagus an aphrodisiac, claiming it increases feelings of love and compassion. 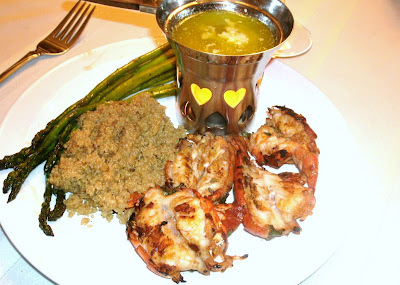 Aphrodisiac or not, this great tasting side dish is sure to please even the fussiest eater. Trim away and discard any tough woody stalk from the base of the asparagus stalks. Into a zip top bag, combine the asparagus and Garlic Expressions. Seal, removing any air. Turn the bag a couple of times to thoroughly coat the asparagus spears with the dressing. Marinate in refrigerator for at least 4 hours, up to 24 hours. Preheat BBQ grill to high. 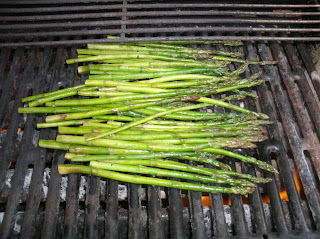 Grill until spears are crisp tender, turning once; about 4-5 minutes. Do not over cook. Pour water into a small bowl and add sugar. Sprinkle the yeast on top and set aside until it begins to foam. In a large mixing bowl, combine all remaining ingredients except flour. Mix thoroughly. Begin adding flour a cup or two at a time, mixing to incorporate. Using your hands (or your heavy duty mixer fitted with a dough hook) knead in the remaining flour until a soft dough is formed. Dough will be slightly sticky. Add the EVOO to the bottom of cleaned bowl and turn the dough a couple of times to coat it with the oil. Cover with plastic wrap and raise 1-1/2 to 2 hours until it has doubled in size. Punch the dough down and divide in two. 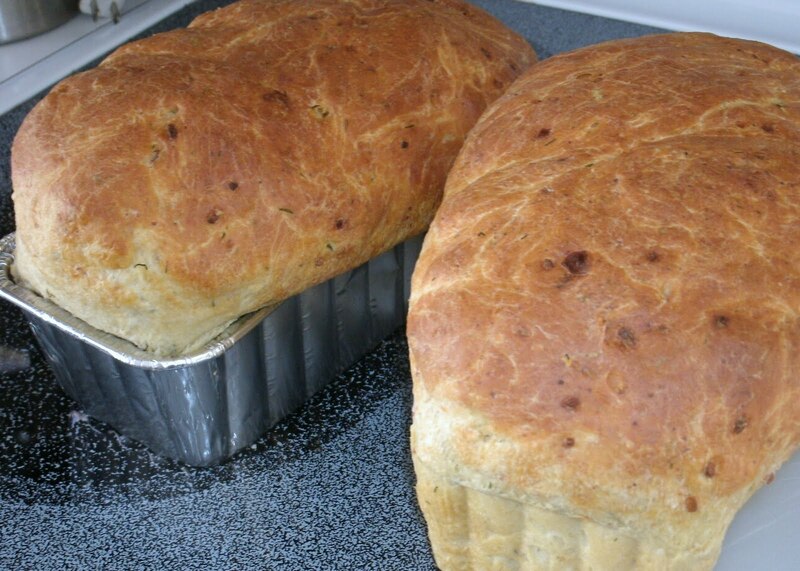 Thoroughly spray two loaf pans with cooking spray. Place 1/2 of the dough into each loaf pan, cover loosely with plastic wrap and raise again until doubled (about 45 minutes). Bake 25-30 minutes in an oven preheated 350 degrees F.
Raspberries are high in ellagic acid. Research shows that this phenolic compound may help prevent cancer, inhibit the growth of cancer cells and stop the growth of some cancers. Raspberries also contain strong antioxidants--Vitamin C, quercetin, and gallic acid. Moreover, raspberries are packed with fiber and manganese. Manganese is a trace mineral that helps to keep your metabolic rate high, thus kicking up your "Fat Burning Machine". Frozen raspberries make it easy for you to enjoy this simple and great-tasting "guilt free" dessert year-round. Dissolve Jello and Crystal Light in 1 Cup Boiling Water. Stir until dissolved and cool to room temperature. Into a food processor or blender, combine cream cheese, cottage cheese, and protein powder. Process until smooth. Add Cooled Jello mixture and blend until combined. Refrigerate 20 minutes until partially set. Cut or break angel food cake into small bite-size pieces and divide among 8 dessert dishes. Drizzle each serving of cake with 1 teaspoon raspberry liqueur. Remove the Jello mixture from the refrigerator and fold in the thawed raspberries. Top each serving of cake with about 1/2 Cup of the raspberry/Jello mixture. Cover dessert dishes with plastic wrap and refrigerate at least 2 hours. 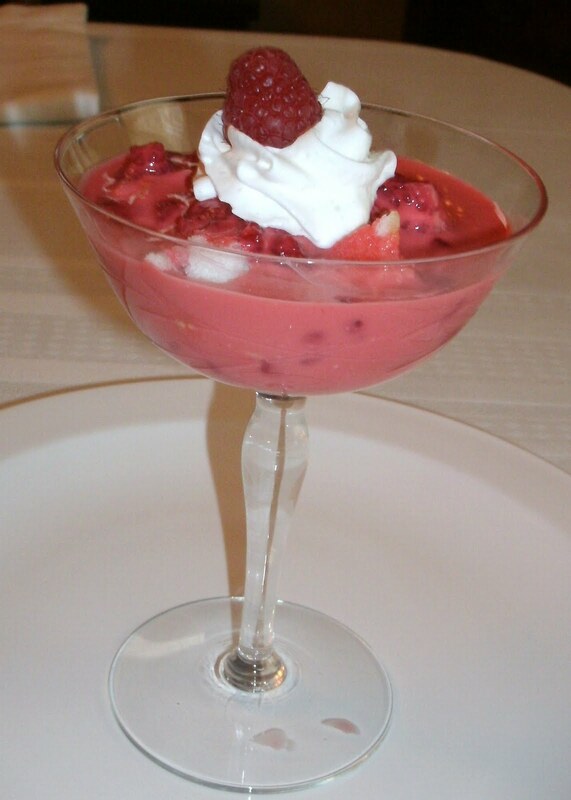 At serving time, garnish each with light whipped cream and a fresh raspberry. 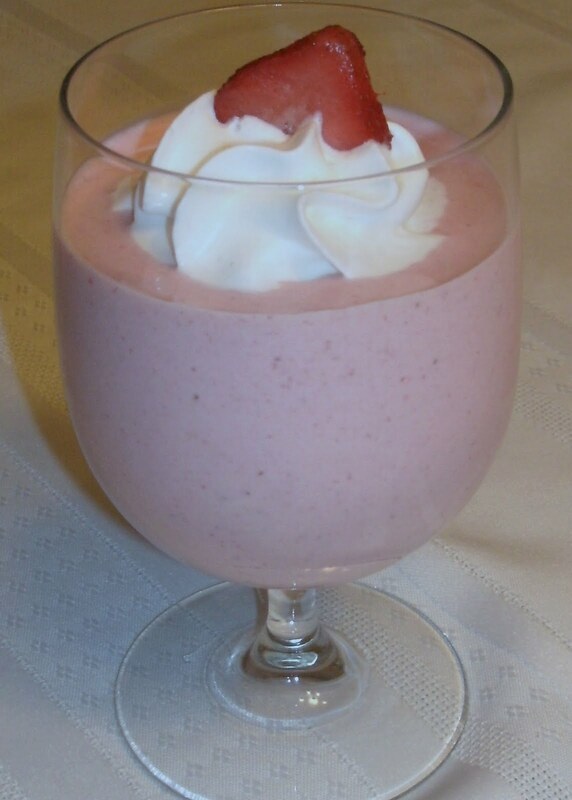 Place all ingredients except strawberries into blender and blend completely. 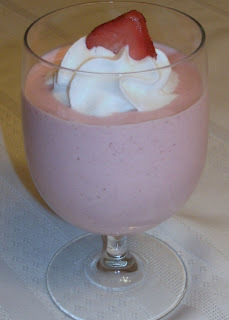 Add the frozen strawberries and blend until thick and creamy. Garnish with whipped light cream and a slice of strawberry.